It’s all come down to this: the biggest decision of your life. Duh duh duhhh! You’ve been waffling back and forth, eenie-meenie-miney-mowing your heart out. Because, gosh, both options are wonderful. So let’s hear it: Do you want one scoop of vanilla? Or do you want more? Fudge?! Sprinkles!? A scoop of chocolate AND a scoop of mint on top of that vanilla?! Pretzels! Cookies! Yum. Try your best to not eat it on the way back to the office. Just like ice cream, Lemonly infographics are always a good idea. You can get the basics with a JPG, or you can get more with an SVG. Both are image formats, and both can display infographics. SVGs are just better. To explain what an SVG is, let’s start with what a JPG isn’t, then we’ll talk about the advantages SVGs offer. Clearly, JPGs are here to stay. They’re easy to export and upload to a website, and they can pack a ton of information and beauty in a few megabytes. The text within JPGs isn’t readable by computers. — This means search engines likely won’t index the text within your infographic, and the accessibility of your content will take a hit. URLs in a JPG can’t be linked individually. — Want to allow your site visitors to go from your infographic to what you’re selling? Welp, you can add only one URL, and it will cover the whole image. Pixelation can get to be noticeable on larger screens. — JPGs can be only as large as their original file, so if someone’s browser window is 2,000 pixels wide, and the JPG is only 500 pixels wide, that image is gonna look rough. Notice how the text is selectable? How the graphics are sharp? And check out how we’ve linked both the call-to-action and each individual source. 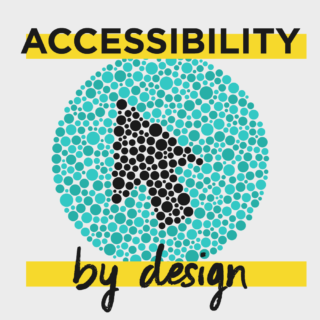 SVGs are accessible and searchable. We can add a ton of links to SVGs. 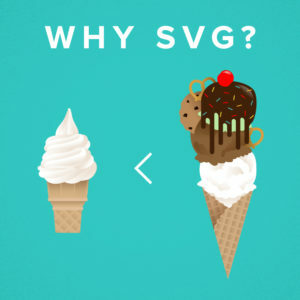 The V in SVGs stands for “vector,” meaning graphics don’t degrade as they get larger. So why, you ask, doesn’t everyone make their infographics as SVGs? Well, because they take some smarts to create and upload. That’s the leg up that JPGs will likely always have: A JPG is just easier to export and upload to a site. But luckily, we at Lemonly have the smarts. 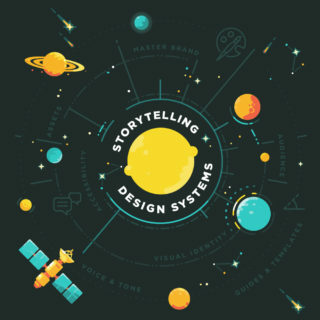 And because the web is becoming more accessible, it’s getting harder to get on top of search engines, and because you want your site to load quickly but also to be beautiful, we think SVGs are perfect for infographics. So if you’re up for it, how to you make them? You can actually keep designing in Illustrator, since you’ll export your SVG from there. 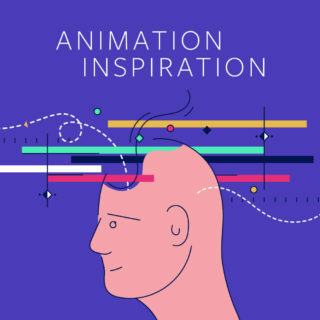 It’s a bit technical of a process to get them looking and working well, but you’re welcome to follow along with our list of best practices here. If you want to leave that all to us, then we’re happy to help. Let John know that you want all the fixings that an SVG can give ya, and we’ll make your infographic shine in all its glory.